In the video below at 18:06, you can see a slide which states “Conan Single Player Top Secret”. This is followed by an announcement stating that single player Conan game is coming. This is not Conan Exiles as previously reported. During the publisher’s Q3 2018 financial report, Funcom revealed that it’s currently working on a Conan Exiles single player campaign. It’s only in pre-production at the moment, so a release date has yet to be confirmed. However, we do know it will be available on PS4, Xbox One, and PC when it eventually arrives, and will cast players in the role of Conan the Barbarian himself. We were pleasantly surprised by Conan Exiles when it released on PS4 earlier this year. PSU’s John-Paul Jones went so far as to describe it as “the most accessible and enjoyable survival MMO in years” in his comprehensive review. Nonetheless, the addition of a single player campaign is certainly a welcome one. Opening the game up to players who prefer to build, explore, and simply inhabit the game’s large and impressive world in glorious isolation. Funcom isn’t working solely on the Conan Exiles single player campaign, of course. In the more immediate future, the 4th December to be precise, Funcom will be managing publishing duties for Mutant Year Zero: Road to Eden. The XCOM-like strategy game developed by Swedish studio The Bearded Ladies. 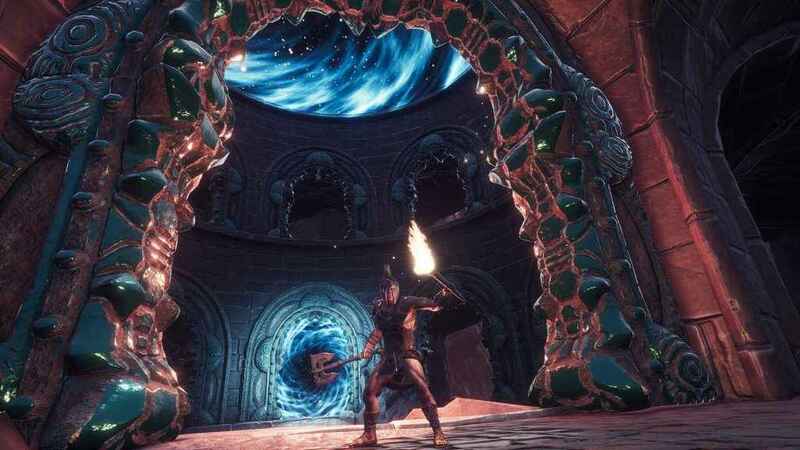 While looking further afield, Funcom is also collaborating with Petroglyph Games on a separate, PC exclusive Conan IP and Rock Pocket Games on another top-secret project due for release around Halloween 2019. Internally, the studio is also developing a co-op multiplayer shooter in the Heroic Signatures IP and an untitled open world multiplayer game that is currently only in the concept stage. Both of these titles will be released on PS4, Xbox One, and PC.